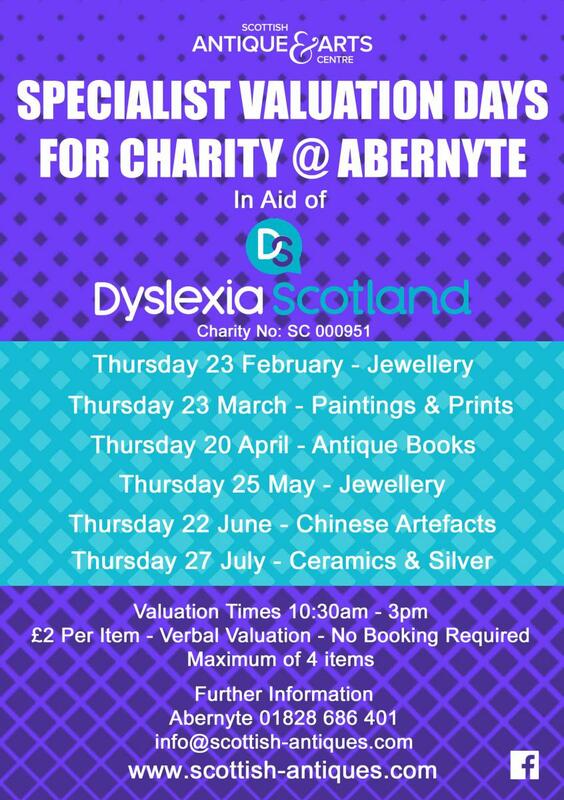 In aid of Dyslexia Scotland, this exciting event will be held at the Scottish Antique and Arts Centre in Abernyte, Perthshire PH 14 9SJ. The first of a series of Valuation Days will feature Jewellery. Resident expert John Kelly will be on hand between 10.30am and 3pm, providing verbal valuations in exchange for a donation of £2 per item. Click here to read more about the partnership and the Valuation Days. Click here for details of all the events in 2017.